Trusting is a big word. We oftentimes say we trust others, but do not even trust our own selves. The nurturance of our babies and bonding that would be necessary in utero, assists in developing a trust between baby and mother. But before working on the baby-mother bond learn to trust your own instincts. Science has determined that the mother-baby bond is essential after a child is born. But what about the significance of bonding while the baby is growing inside the uterus? This is the essential missing information not communicated to women in our modern times. Due to the obsession of the over-technological world we live in, we forget to listen within. We tend to not realize important knowledge lies inside our psyches. We avoid listening to our bodies. The cues are there, we just do not stop to listen. The pregnant body is communicating what it needs all the time, and, believe it or not, the unborn baby is, too. All we have to do as mothers is learn to listen, give ourselves permission to trust the connection, and take the time to respond (Peters & Wilson, 22). For survival, the baby must begin to adapt to its environment while in the womb in order to survive. There are special molecules that act as messengers, to allow the mother to communicate to her baby in utero. Components such as hormones and neuro-peptides cross the placental wall, sending information to the fetus. Emotional intelligence is taught to the fetus via this mechanism. So he or she learns the whole range of emotions via the mother. Her responses teach the fetus. She sets the tone, so-to-speak for coping within the world. Creating the bond with the fetus is a spiritual act that transcends the normal functions of mothering. How one adjusts to life, begins during the prenatal period. Researchers and clinicians have found that prenatal and birth experiences of the mother, effect the birthing patterns she has with her own babies. These would include cultural patterns imbedded in the lives of the family. We can prevent “life-constricting patterns (McCarty, 9)” that are developed while in utero by addressing these issues and healing our own birth traumas. This scientific approach closely parallels the work of John Upledger in his ground-breaking work with Cranio-Sacral and Somato-Emotional Release therapies. His theory is that the body stores memories at the cellular level. Have you ever massaged someone, or been massaged, and a small soft-tissue lump is discovered that almost feels like it “crackles”? That is a “energy cyst”. When released it creates an emotional response, and the muscular tension abates. It is thought this “cyst” holds the memory of the injury. In Unpledger’s book, he states that traumatic injury can be fully healed by the release of these “cysts”. I have come to look upon this phenomenon as ‘tissue memory’. By this I mean that the cells and tissues of the body may actually possess their own memory capabilities. These tissue memories are not necessarily reliant upon the brain for their existence [[Upledger, 64]. I would consider this muscular and tissue intelligence. If Upledger’s theory is true [and is likely, due to hundreds of patients having experienced his work] then it is an important aspect to consider for the mother and the mother-baby bond. There are four essential KEYS to developing the mother-baby bond, and learning to be aware of and trust your own instincts. Nourishing: involves all the things women do to tend to their emotional and physical needs. to make decisions based on deep inner-listening. 3. Listen. What is your gut saying to you? How does your body feel? How is your body reacting? How does your baby react to what you are feeling, physically or emotionally? 4. Then decide and commit. This is when you honor your feeling and that of your baby. Make a decision that will be in harmony with the messages your intuition says. Through this practice, then you will develop a trusting respect for your own intuitive thought process, allowing it to guide you. You have several months of your pregnancy to find your awareness of self and of your baby. When the day comes for labor to begin you take this newly-developed self-awareness, the bond you created between you and baby, and the education you have gained about safe birthing practices to trust fully the process of labor! “Listen” to your own self, and what your baby is telling you. 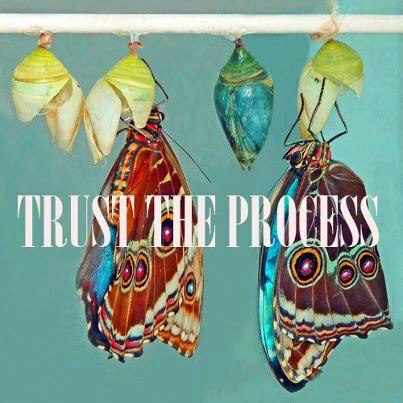 COMMIT to Trusting the Process. McCarty, Wendy Anne. Ph.D. , R.N. 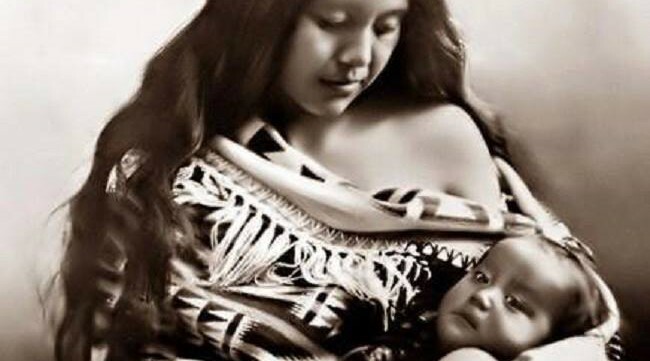 The Call to Reawaken and Deepen Our Communication with Babies: What Babies Are Teaching Us. International Doula. Summer 2004, Vol 12.